Our Advocacy Service delivers an empowerment model of advocacy and provides issue based, client-led support and assistance. We offer a wide range of services, from self-help, signposting and information through to full advocacy casework. Our Advocacy Service is free and independent. Advocacy is taking action to help people say what they want, secure their rights, represent their interests and obtain services they need. Advocates and advocacy schemes work in partnership with the people they support and take their side. Advocacy promotes social inclusion, equality and social justice. If there is no project which meets your advocacy need, it may be possible to spot purchase advocacy. This is when statutory services fund an individual piece of work. 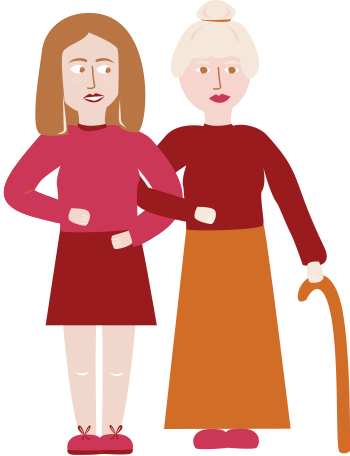 For instance, we have advocated for an older person when their care home was closed and they had no family to help them chose a new home. What can an advocate not do? Make decisions on behalf of the individual or service. The Care Forum has a strong tradition of training and supporting volunteer advocates, some of whom have used statutory services themselves in the past. We also have a paid staff team of professional advocates, some of whom have previously been volunteers. 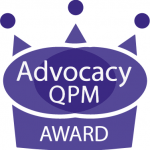 Advocacy Services at The Care Forum have been awarded the Advocacy Quality Performance Mark. This quality assurance standard scrutinises advocacy practice against the Advocacy Charter’s principles and verifies that our service provides advocacy meeting these principles. The Care Forum has run two regional advocacy conferences over the past two years. In 2016 we ran ‘Advocating for People with Dementia’ which was well attended by 60 regional delegates from advocacy and affiliated organisations, and statutory sector representatives, such as commissioners. The day included talks from people affected by dementia, workshops on communication skills and discussion about how to involve people with dementia in service evaluation and development. Need to make an advocacy referral?